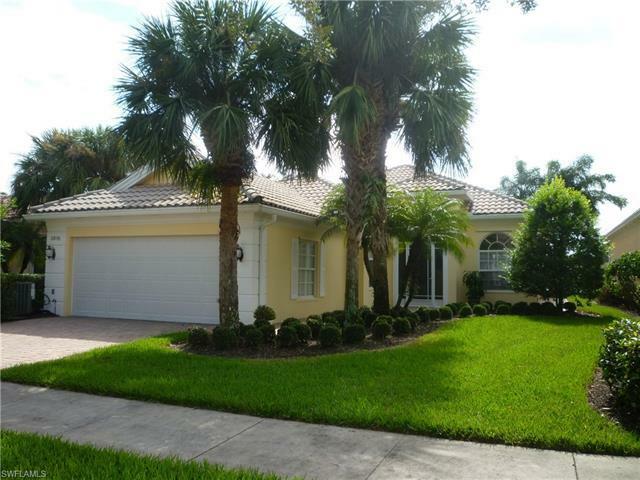 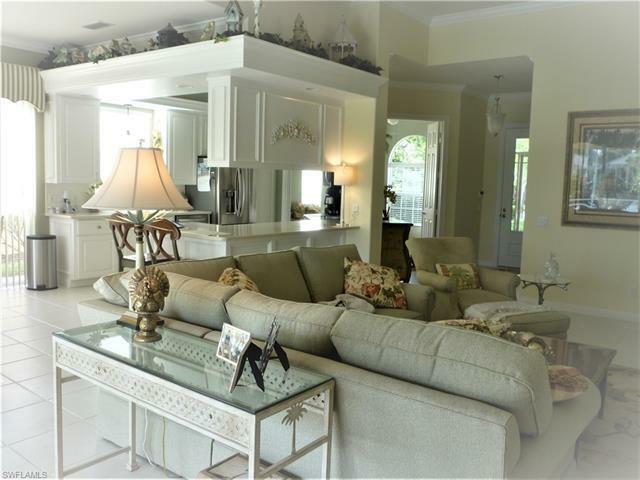 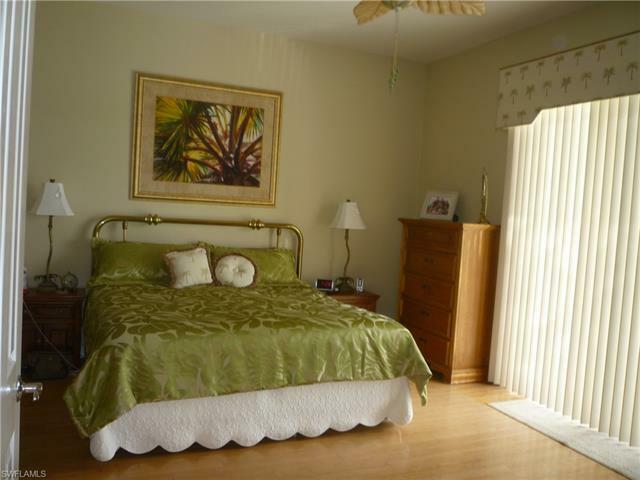 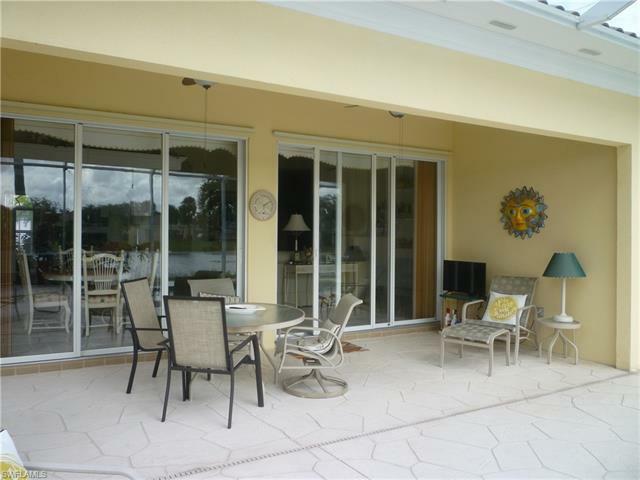 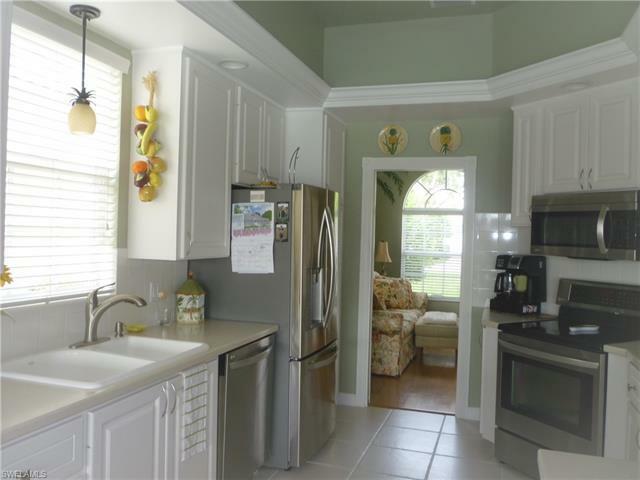 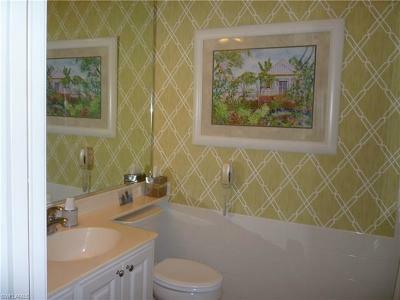 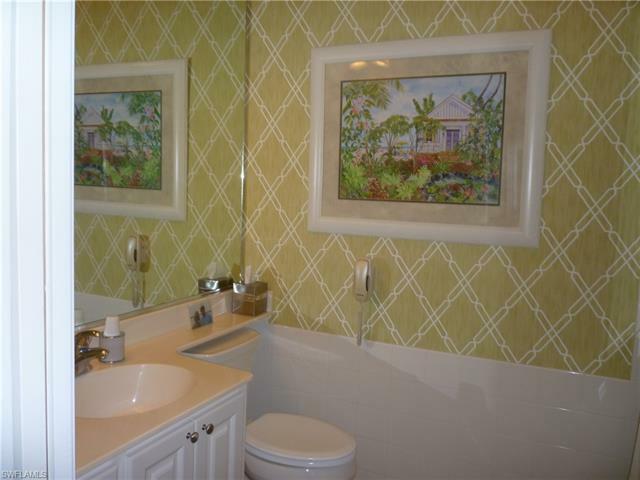 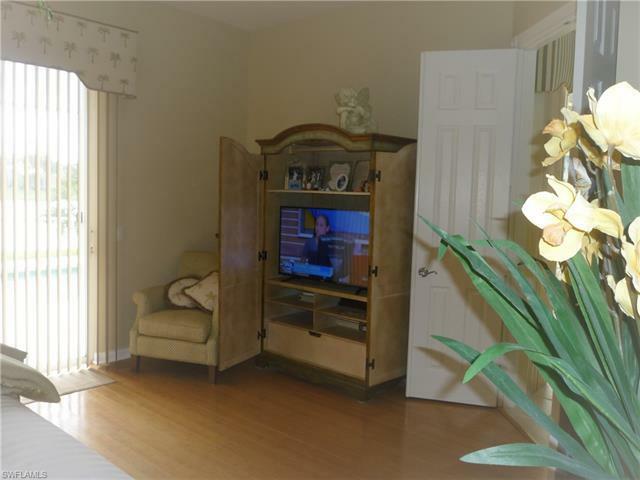 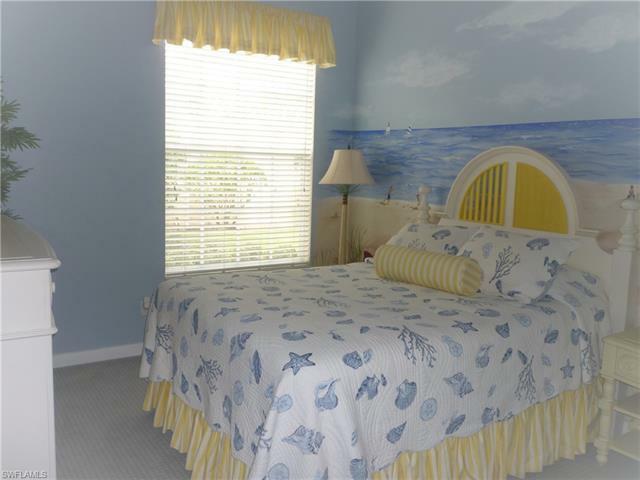 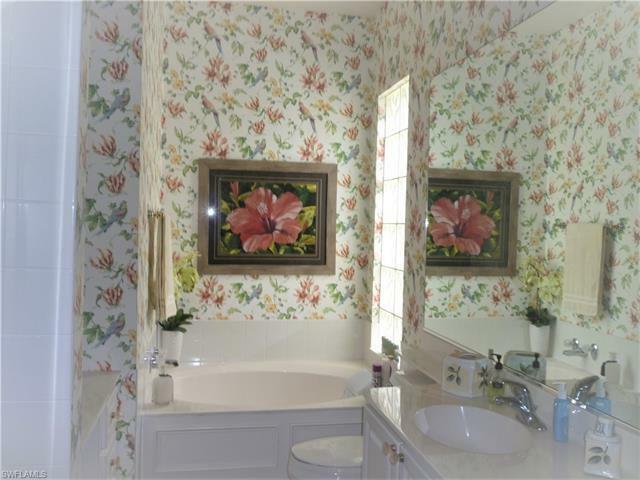 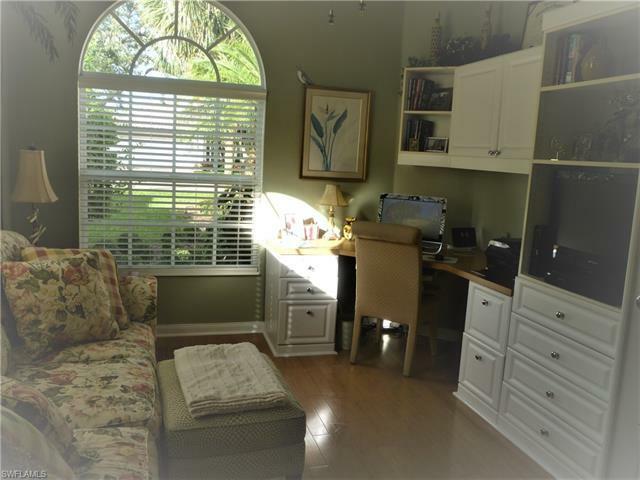 Spotless, open floor plan with lake views from main living areas and master bedroom. 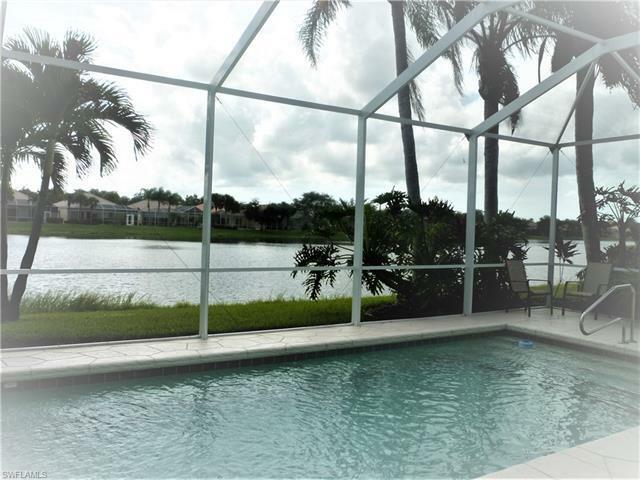 This 3+den, 2.5 bath Oakmont model with private pool is built with steel reinforced poured concrete and set amid miles of winding lakes and mature landscaping with southern exposure. 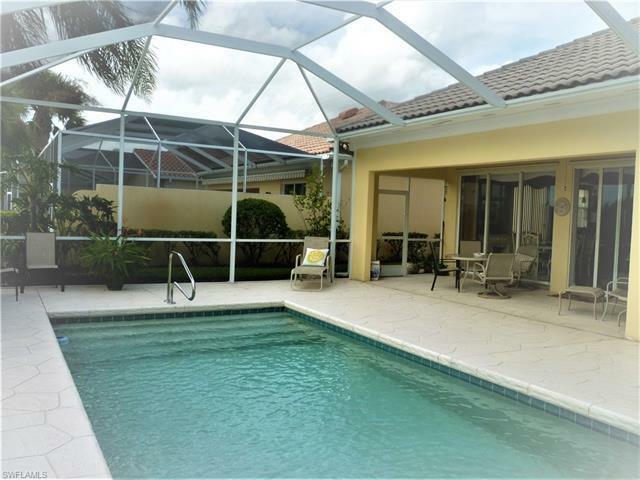 NEW POOL CAGE & DECKING! 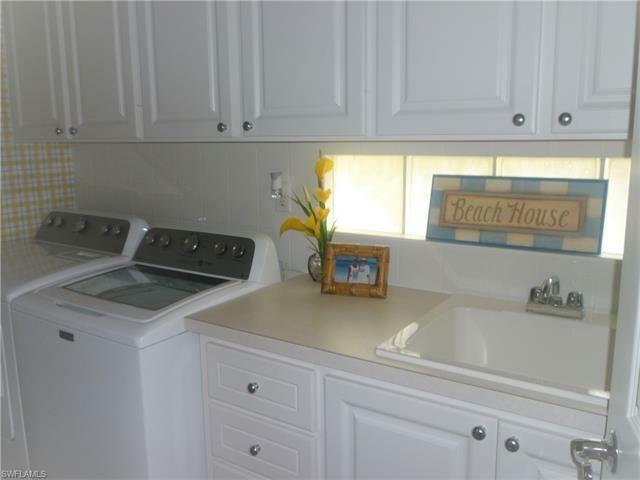 NEWER A/C, HOT WATER HEATER WASHER & DRYER & STAINLESS APPLIANCES! FRESHLY PAINTED EXTERIOR! 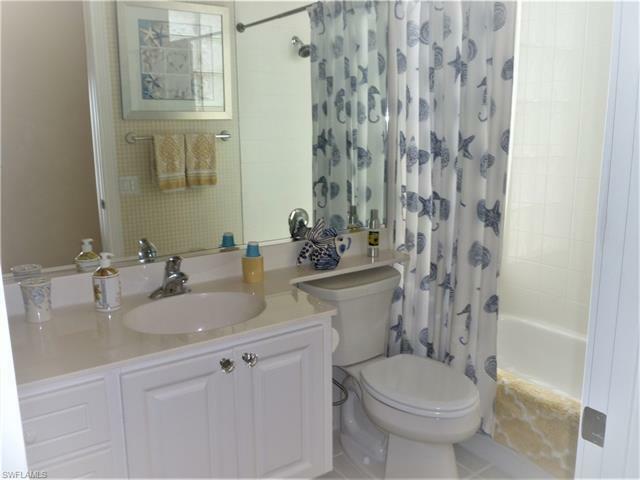 Add'l upgrades include corian counters, bamboo floors in den and master bedroom, enhanced built-in entertainment unit, crown molding, window treatments, garage cabinets & shelving, storm shutters and more. 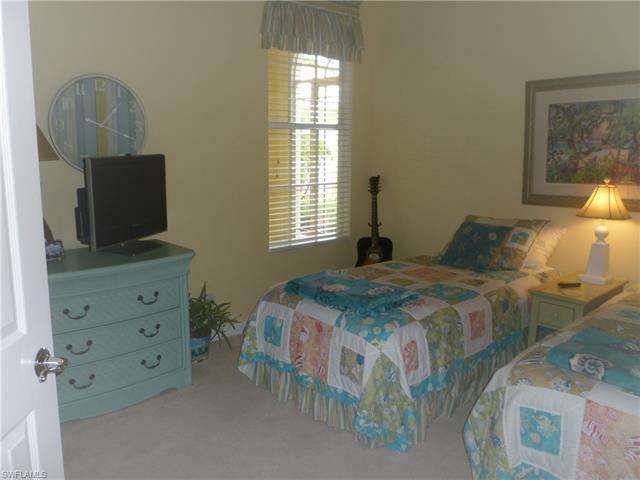 Community features resort & lap pools, Hartru tennis courts, boccie, putting green, fitness center, restaurant, gas station & car wash, beauty parlor & nail salon, professional lifestyle director with large social program, and low HOA dues. 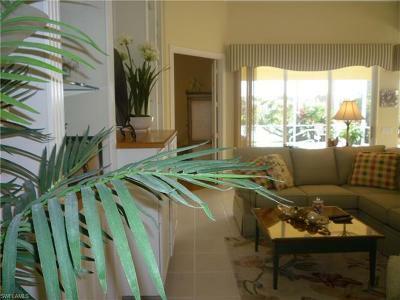 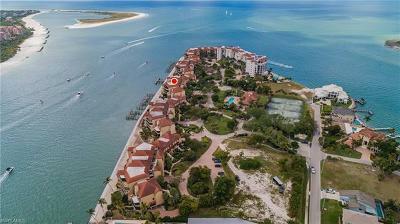 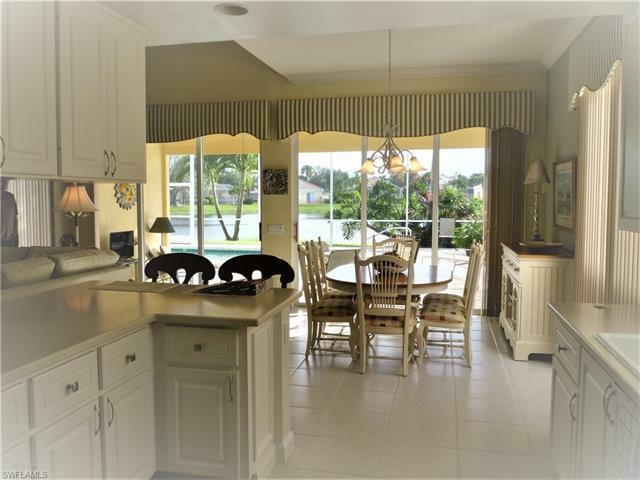 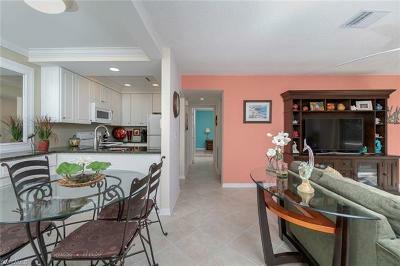 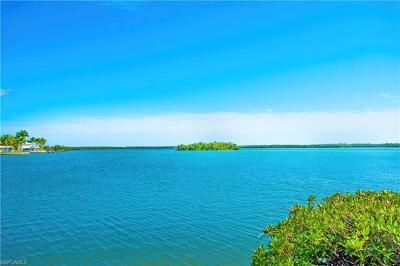 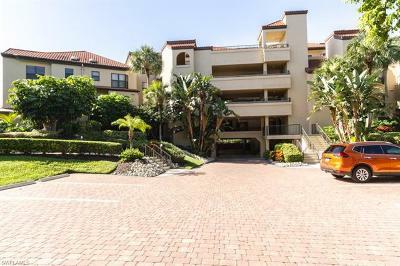 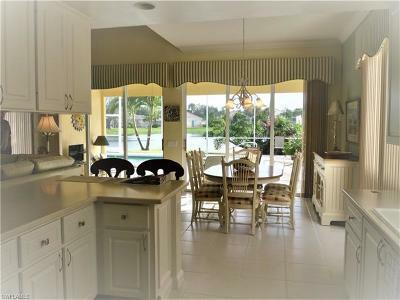 Close to beaches, shopping, entertainment - all that the Naples lifestyle should be. 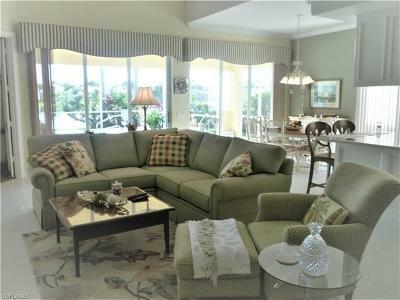 Come take a look - you'll know you want to be here.